Junior Golf Summer Camps are back for 2017! 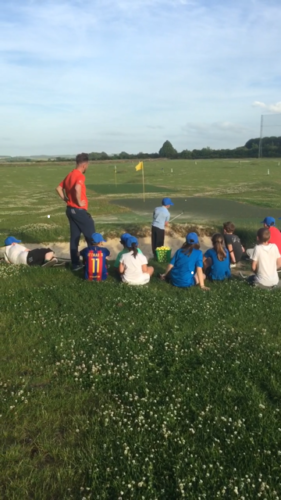 The much anticipated Junior Summer Camps have returned to Winchester Golf Academy this Summer. Aimed to keep your kids entertained throughout the holidays. A whole day full of golf activities, games, competition and as much fun as you can imagine! The camps are from 10am till 3pm each day and we have limited spaces, so we are booking children aged 5-14 on a first come first served basis. The days are aimed to every level of golfer and both boys and girls. Each day will be supervised by Qualified PGA Coaches and will include a packed lunch which will be provided by the The Little Kitchen Bistro. You can sign up to just one or as many days as you like. We can also provide equipment. Please email garyb@winchestergolf.co.uk if you would like to book onto a day or simply find out more information.